I made it a resolution to do as much crafting as possible outside of work, but crafting for work is so fun I haven't let myself do any personal crafting yet! 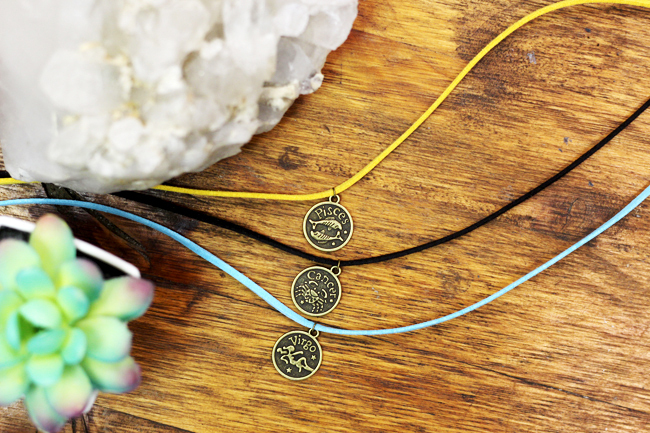 So instead of a for-home craft (those will come) I'm sharing something I really enjoyed making to sell at my local shop at while traveling at expos and outdoor markets and event: zodiac chokers! 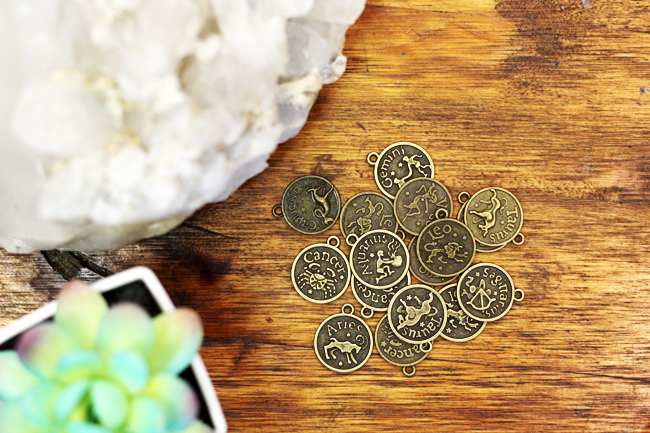 I bought the zodiac sign charms on a whim, I'd fallen in love with the 70s style images on each one and finally had a vision for how to use them. 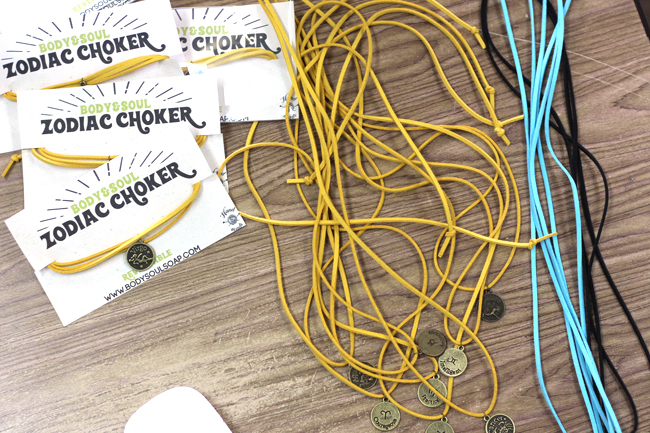 It's so easy to make similar charm-chokers of your own. 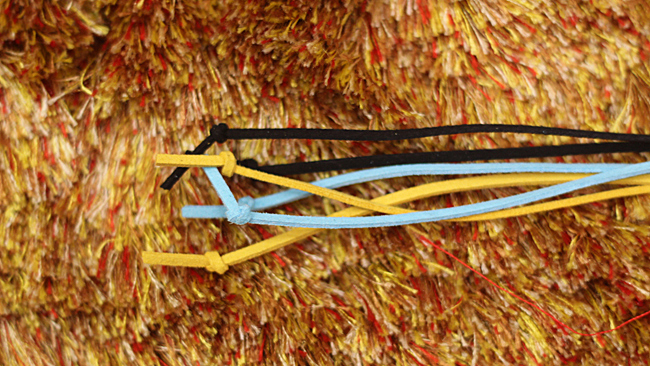 String your charm onto your cord. Then tie the ends! 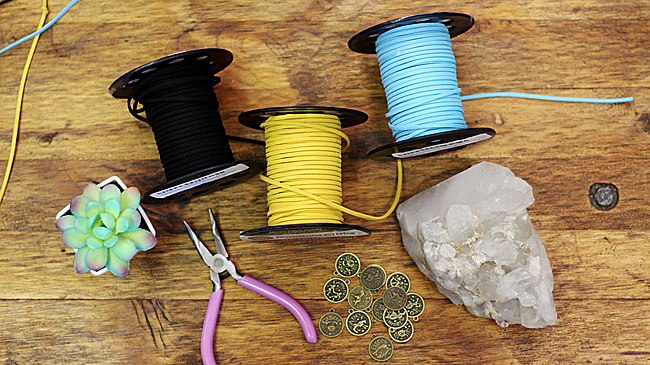 You can get creative here and glue beads, add extra charms to ends, whatever you like! 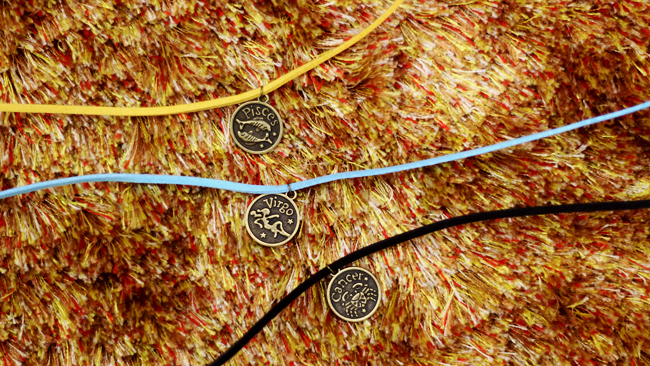 I wanted to keep mine minimal and let the charms really shine and just closed mine with knots. One of my favorite parts of making new merchandise is designing the packaging! This is the live view of my desk right now, I'm taking a break to wrap some of these up between working on websites then fitting them neatly in their protective plastic sleeves. I can't wait to premier them at our outdoor market tomorrow but you can see them on Etsy too! These look really good on, go with many outfits and they make excellent customizable gifts for friends, too. No prob :) It was fun to photograph the process. When I'm not busy cutting fabric I enjoy crafting jewelry for personal use or as gifts. 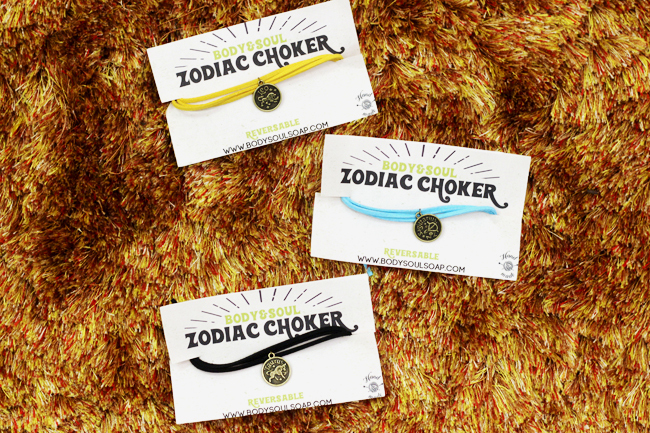 Your zodiac chokers are really cute and the packaging impeccable! Wow Vanessa! I've been really missing from the blogosphere. Love the new webpage! Haha, it was probably a much-needed break, I know how that goes! Thanks for the kind words on the website :) Always a work-in-progress. Gonna buy some charms like this one. Thank you for sharing!